MALAYBALAY CITY (Bukidnon News.Net/08 December) Judge Pedro Domingo Bustillo Melendez, nick named, “Mindo” was born on May 13, 1905. He was the eldest son of Juan Parisco Melendez and Juliana Moreno Bustillo of Malaybalay, Bukidnon. He graduated valedictorian at the Misamis Oriental High School in 1922. He proceeded to study law at the University of the Philippines as a working student. He was a bookkeeper in the Bureau of Non-Christian Tribe in Manila. In 1934, he was elected as one of Bukidnon’s two delegates to the Constitutional Convention that drafted and formulated the 1935 Philippine Constitution. The other delegate was Jose Sanvictores who shared with him the pride of having worked with national luminaries such as Claro M. Recto, Manuel Roxas, Elpidio Quirino, Jose P. Laurel, Norberto Romualdez, Rafael Palma, Conrado Benetiz, Camilo Osias and many other framers of the Philippine Constitution. During the privilege hour, in one of the sessions, he took advantage in addressing the problems of Mindanao, at that time, already called, “Land of Promise”. He expressed apprehension that Mindanao, which has a land area bigger than Switzerland, Holland or Belgium, may be lost on account of the proposed Roger Bacon Law of 1925 in the American Congress. The proposed law eyed to separate Mindanao from the rest of the Archipelago. He regarded his advocacy as a “voice crying” in the wilderness for under the Jones Law, which was then the Organic Law under the American Regime, the special provinces of Mindanao and Sulu, the Mountain Province and Nueva Vizcaya in Luzon were represented by senators and representatives who were solely appointed by the Governor General. He successfully advocated for the Bukidnons’ Right of Suffrage. Since 1907, Bukidnons were not given the right to vote, though the province was already separate from Misamis. (Bukidnon was proclaimed by Philippine Law as an autonomous province in 1907, through the effort of Dean C. Worcester, then Secretary of the Interior and member of the Philippine Commission). (Editor’s Note: according to Bukidnon.gov.ph, in August 20, 1907, the Philippine Commission Act 1693 was enacted which created the province of Agusan with Bukidnon as a sub-province. The inhabitants largely called “Bukidnons”, were referred to as an ethnic tribe classified as “Non-Christian” Filipinos, regarded as mountain folks and noted as oppressed, preyed upon and exploited by the “Dumagats” or people of the sea coasts. Inherently, the “Bukidnons” were discriminated and were targets for land-grabbing practices. In 1935, “Mindo” married, Luz Santiago Reyes, a BSE (Bachelor of Science in Education) graduate from the University of the Philippines and a native of Malolos, Bulucan. The former Ms. Reyes was a teacher by profession with whom he had eight kids; Emmanuel, Luisa Marie, Juliana (a twin of Luisa Marie, deceased after birth) Minda Luz, Clarissa Victoria, Pedro Jr., Lewanda Bertha and Alexander Henry. In (or about) 1938, during the Commonwealth Government, Secretary of the Interior Elpidio Quirino, who was then their principal wedding sponsor, appointed him as Deputy Governor by the Commissioner at large for Mindanao and Sulu, with office in Dansalan, Lanao (now Marawi City). The position was under the office of the Commissioner for Mindanao and Sulu. 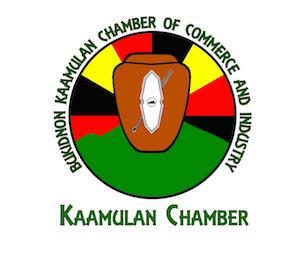 Assigned in the office of the Bukidnon Provincial Governor by Commissioner Kasilag, primarily to advocate for the cultural minorities; the position, however, upon protestation, was eventually abolished from the National Assembly. After serving in the Judge Advocate Service of the Bukidnon-Cotabato Force during World War II, he was honorably discharged as First Lieutenant, HQ Co, 109th Division 10th MD of the USAFFE’s reconstructed guerilla unit roster. After the war from 1947-1950, he worked with the Philippine War Damage Commission under Colonel Henry Gilhouser and helped several claimants from Bukidnon, Misamis Oriental and other provinces. He practiced law in Malaybalay, Bukidnon and Cagayan de Oro City; served as Provincial Fiscal of Misamis Oriental (1951-1952) and in (1965-1966) as Judge, Court of Agrarian Reform. A widower for four years, he remarried in 1973 to Dulzura Chavez Vda. de Fernandez of Cagayan de Oro City. His daughter, Minda Luz Melendez Quesada, followed his steps when she became a delegate to the 1987 Philippine Constitutional Convention. He passed away on October 23, 1982 in Manila. “Bukidnon became a regular province on September 1, 1914 by virtue of the creation of the Department of Mindano and Sulu. 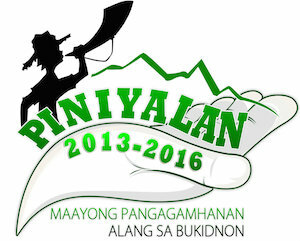 Finally, on March 10, 1917, under Act 2711 the province was officially created and called the Province of Bukidnon.)”. Please be informed that Act 2711 of March 10,1917 is just a Revised Administrative Code of the Philippines and does not specifically named Bukidnon as a province. The said Law enumerated all the provinces in the Philippines on those period. If Act 2711 is adopted , all of provinces in our country be therefore created on those period. Act 1693 of 1907 should have been better as the Law which created Bukidnon as it specifically stated Bukidnon as a sub-province( http://website.informer.com/visit?domain=elibrary.judiciary.gov.ph).Bukidnon has already a Governor in the person of Frederick Lewis under Act 1693. Don Manolo Fortich was just a Chief Constable on those period. When Governor Jhonson of Agusan died, Governor Lewis was transferred to Agusan thus Don Manolo Fortich was appointed as the First Filipino Lt. Governor of Bukidnon. Bukidnon became a province per item (b) Sec. 19 Art. 8 Chapter II of Act # 2408 approved on July 23,1914.Please view http://website.informer.com/visit?domain=elibrary.judiciary.gov.ph for information and guidance when Department of Mindanao and Sulu was created. Thank you sir for the quick feed back. We are taking note of your correction. This should be addressed by provincial historians, too. The province is celebrating its centennial in 2014.